In northeast Italy, in the province of Friuli, the finest white wines in the country are grown. Among the elite winemakers is Alvaro Pecorari, the 4th generation to helm Lis Neris, and a man focused on leading the region into the international spotlight. He is creating some opulent, barrel fermented, atypical wines from international varietals that garner critical acclaim and a devoted fan base. I’ll never forget the day we first met. We were at VinItaly, the big wine fair in Verona, and had set up a meeting to discuss their distribution and to taste the wines. That same day three separate people, with no prompting, said “if you’re meeting anyone from Fruili, it better be Lis Neris”. The third time it happened, we thought, “wow, we must really be onto something here.” Well, we were blown away by the tasting, and almost ten years later, Lis Neris is our sole winery partner from Friuli. Alvaro employs a distinct production method for his best white wines, four of which are offered below. After starting their fermentations in stainless-steel tanks, the wines are then moved into 500-litre French oak barrels until completion. They are then matured for 11 months on the fine lees in the same barrels where fermentation was completed. The lees is stirred often (called batonnage) to develop the body of the wine and to bring greater depth to the fruit flavours. There is a creamy and dense yet fresh quality to the wines that I haven’t found often in other whites. These are wines that should be in your cellar! They age marvellously, as a recent uncorking of the 2009 “Jurosa” showed. Still fresh, lively and complicated. If you’re a fan of white Burgundy, but are becoming put off by the ever-escalating prices, the wines of Lis Neris should be on your radar! Our allocation is limited and this offer will close as stock allows or on April 30th. 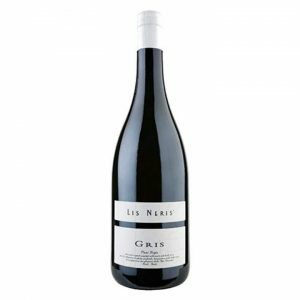 We also have available Lis Neris’ “Traditional” Pinot Grigio 2017. It comes in cases of 12 bottles at $32.95 per bottle (exclusive of bottle deposit). Vines more than 15 years old provide the wine, which are farmed organically with no use of pesticides, fungicides or herbicides. When the fermentation in stainless steel tanks is completed, the wine rests on the lees for 8 months before bottling. It is weighty, bright, juicy, a little spicey and has incredible acidity. I can think of no better wine for toro sashimi. If you would like help making a selection, or you just want to ‘talk wine’, call me anytime: 647 955 8872 or email me at c.mclean@rogcowines.com. 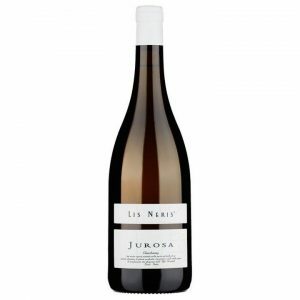 “Jurosa” is a warm, creamy, lifted, soft, round style of Chardonnay culled from the Jurosa vineyard. Fans of artisan Sonoma and Napa Valley Chardonnays will find a lot to like here. Fermentation ends in French oak barriques and 11 months of batonnage follows. The inherent acidity of Chardonay grown in Fruili guarantees a gentle and long ageing curve ahead. The wine has medium-plus weight on the palate and a tactile mouthfeel with cleansing acidity and a gently bitter finish. I think that it is one of the best values in premium-end Chardonnay that we represent. Gris has received Tre Bicchieri from Gambero Rosso on seven different occasions, and 2016 is considered a very, very good vintage. I have fingers crossed that another Three Glasses is coming! This wine’s structure comes from Pinot Grigio which brings depth, softness and heat. Gewürztraminer naturally delivers the varietal’s distinctly spicy, exotic, funky aromatics; while the Riesling balances both deftly with its taut acidity, completing the blend. The Pinot Grigio and Gewürztraminer are late harvested and all three varietals are fermented and matured in neutral oak barrels for 11 months on the fine lees with judicious stirring. 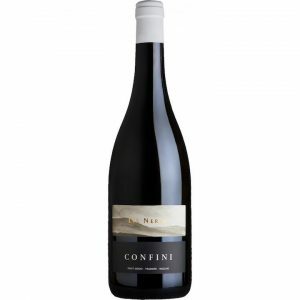 “Confini” then rests in bottle for another 12 months before release. 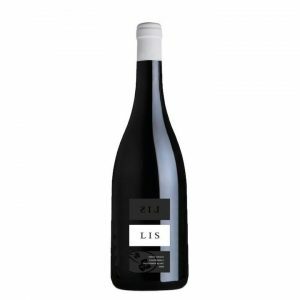 “Lis” is a celebration of the best that the winery can produce. There is no recipe. Each vintage delivers a new palette of raw material and a new balance point is found. Made by the same method as Gris, Jurosa and Confini – fermented in 500-litre neutral oak barrels and raised on the same lees for 11 months with frequent stirring. The wine then ages for 12 more months in bottle before release. It is truly a wine greater than the sum of its parts, “Lis” is layered yet balanced, rich, intense and very age-worthy. 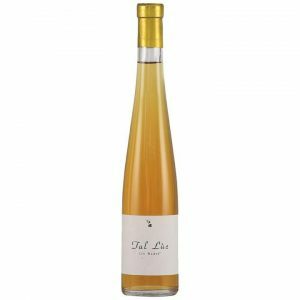 Tal Lùc is a blend of Verduzzo with 5% Riesling. The fruit is harvested by hand and air-dried for four months on straw mats. Once properly dried the wine is fermented, very slowly, in 225-litre new French oak barriques. It is then bottled unfiltered and aged in bottle until release. Though very full in the mouth and very sweet, the wine is so balanced that it is never “too sweet”. This balance can only be achieved by this long, slow production process. It is best drank over the next 10 years. More on Tal Lùc here.